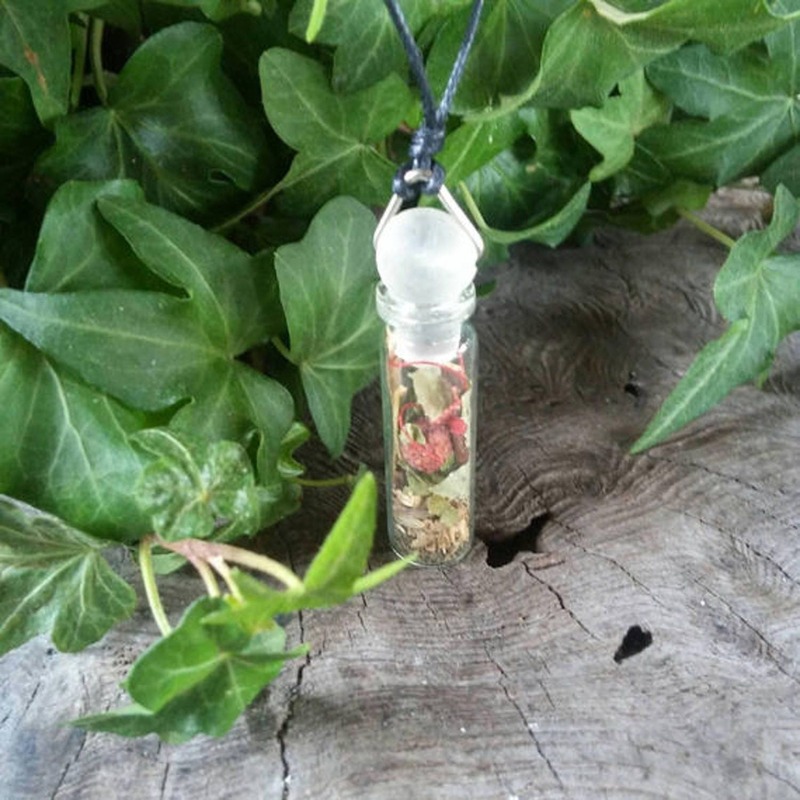 Witch Bottle pendant on adjustable black waxed corded necklace is the best of protection jewelry, full of protective herbs, leaves, and berries. 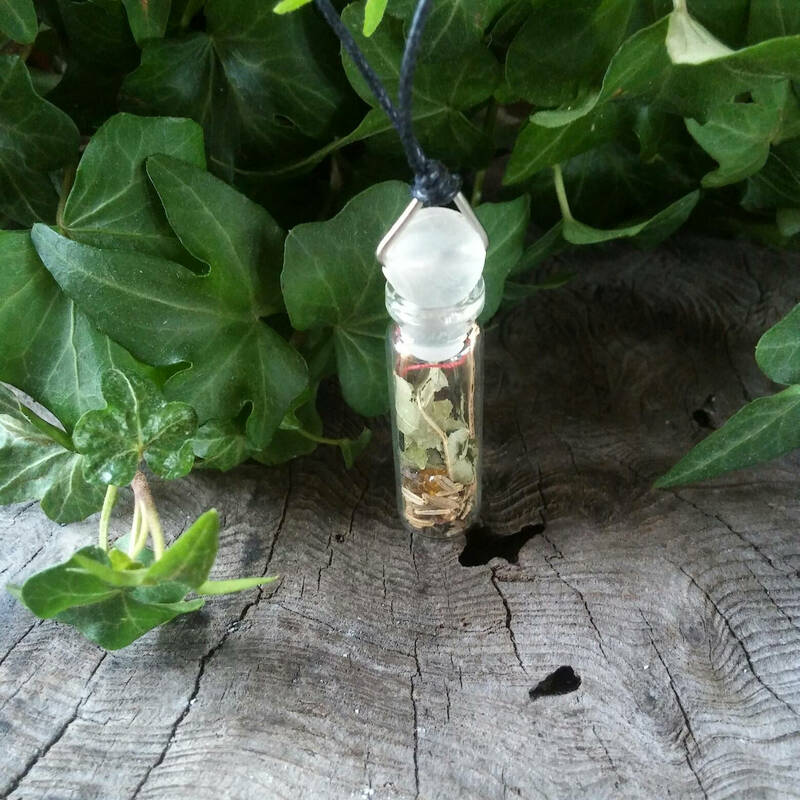 The witch bottle has been used for household protection in England, Ireland, Scotland, and Wales, as well as much of Europe for many centuries. Many a fireplace has been dug up under to find a bottle full of protection items, including herbs, bodily fluids, rusty nails, and other things. Sometimes, the witch bottle has been found inside of walls and under the the front door of old homes. No matter where it were placed, the intention of the witch, "cunning woman" or just the average homeowner was to protect their dwelling and all who dwelt within. That protection may or may not extend to the person when he or she had to be outside of the home....as is with today's world. Sometimes, we just need a bit of extra protection against those who might might wish us harm, particularly those malefic witches whom enjoy casting the odd malevolent spell upon one's life. 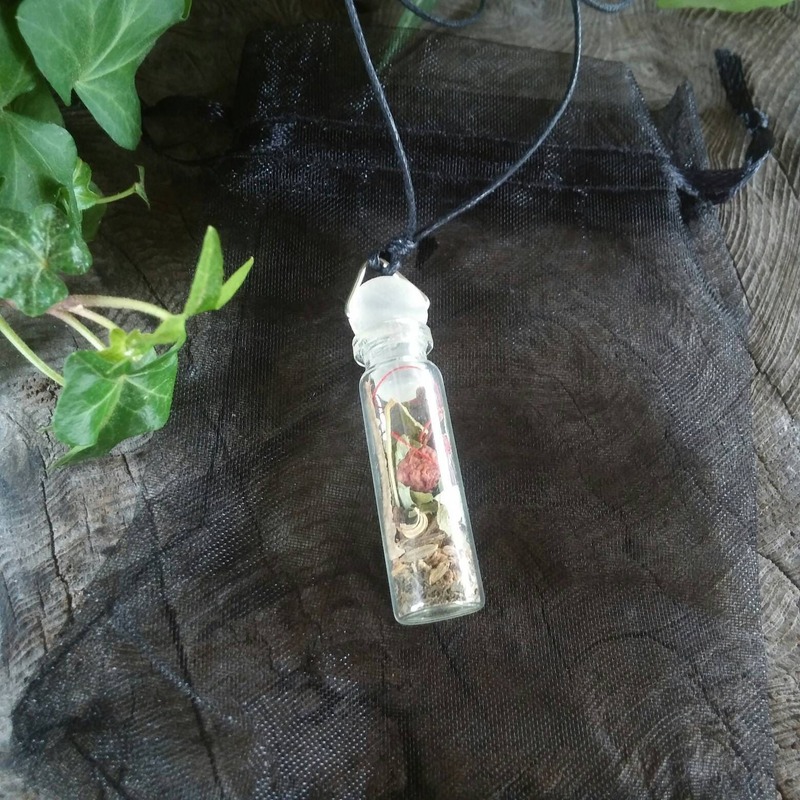 This witch bottle is an authentic bottle of protection; it is made with many of the traditional items of the famous Witches Bottles of old by incorporating items to ward, punish & turn back malignancy and harm. 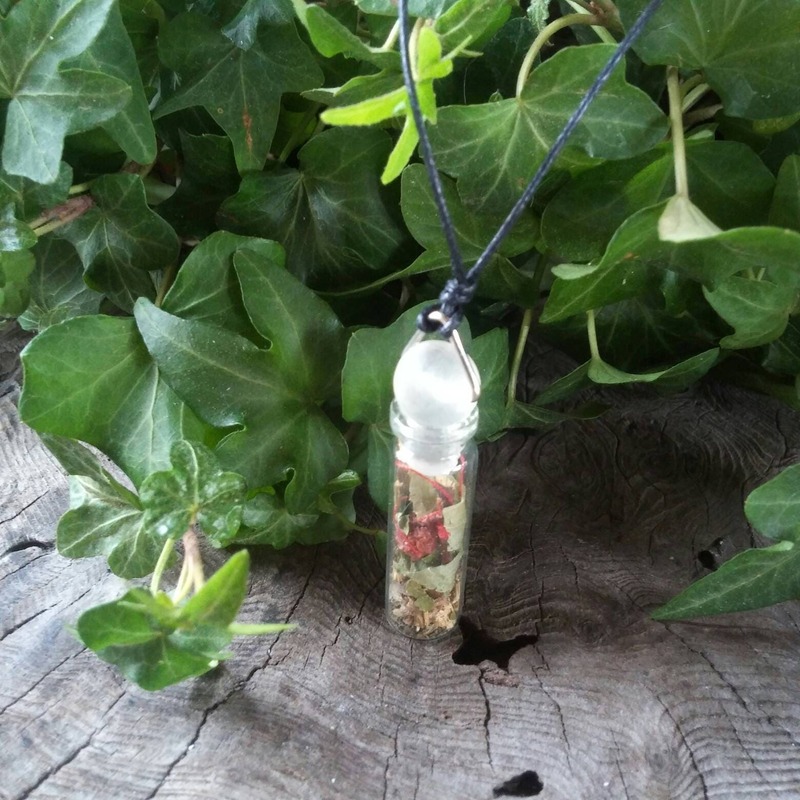 It has Nettle for returning negativity back to sender and stopping curses. We've added English Hawthorn leaves as most know the Mother Hawthorn is a fierce protector, a barrier to fields...a barrier to those who might lie in wait to harm. We've also added Rowan berries (3) and the bark of the English Rowan tree as it is a great protector from not-so-nice faeries and others. 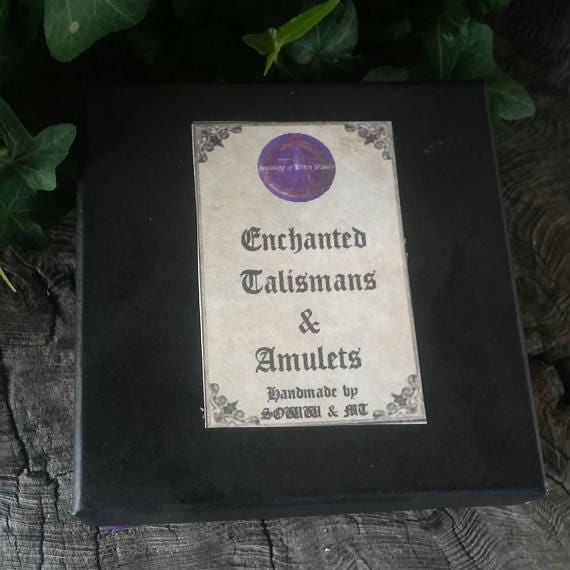 Many protective amulets and talismans have been made from Rowan wood and/or berries for centuries, particularly against evil witchcraft and to protect animals, barns, and homes. 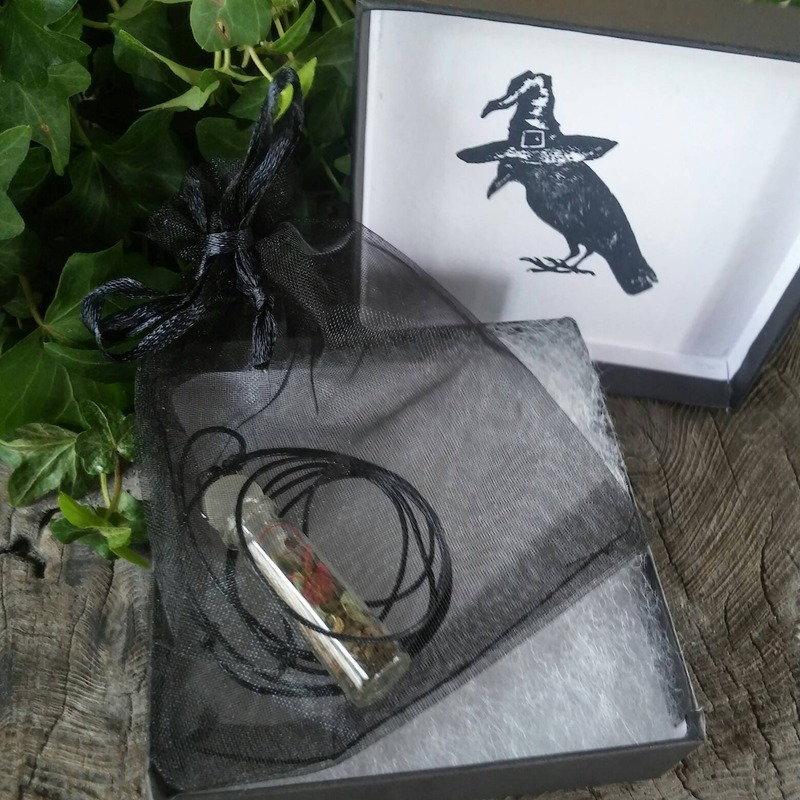 A particular favourite we've added is an English Blackthorn spine, tied with red thread, reminiscent of grandmother's protection charm of a bundle of or a small cross, wrapped around with red thread or yarn to be place near or above doors and windows. The Deity of the Blackthorn is the Morrigan, a fierce warrior and protector. Blackthorn has been used for protection for many ages, some of which are against fire and evil.